You’re 11 years old. You toss your flattened “Piña Mango” Capri Sun pouch to the floor of your mother’s dog hair riddled Honda Odyssey and pull the door handle that activates the painfully slow automatic sliding door. 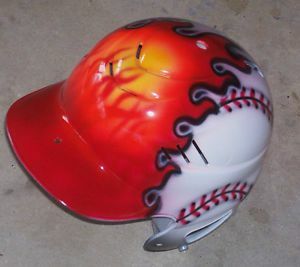 As the door creeps along and the heat of the mid-July sun begins to fill the smelly minivan, you grab your sweet airbrushed helmet and -7 Easton Stealth aluminum bat from the backseat and race towards the dusty fields. As you begin warming up with your teammates by playing a bit of catch (see: chase balls thrown over your head and down that stupid hill into the woods), you can’t help but begin scouting the other team. “Those kids are huge,” you think to your prepubescent self. Your attention is drawn to one child in particular, due in part to his hulking stature but also to the audible POP! of his partner’s glove. With each subsequent throw and POP! of the glove, you and your entire team begin to quiver in your size-7 Mizuno youth baseball cleats, questioning your own talent, self-worth, and ultimate place in this world. POP! Without doing anything, he’s already gotten in your head. That child is Giancarlo Stanton. You hear about hitters being feared. “Jim Rice was the most feared hitter in the game,” say his Hall of Fame supporters. If you had to pick the most feared hitter in today’s MLB, who would you pick? Jose Bautista, maybe. Miguel Cabrera, perhaps. A lot of people would probably pick Giancarlo Stanton, and if the numbers are any indication, that’d be the correct choice. You see Giancarlo Stanton, a gap, and the field. More than 1-in-10 Stanton plate appearances led to a 3-0 count, which is remarkable. Stanton led the league by working a 3-0 count 72 times, and nobody else was within 15 counts of that total. He held nearly a three percentage point lead on the rest of the league, and those are all the different ways I could say that Giancarlo Stanton did this a whole bunch more than anyone else last year. It should come as little surprise that this has always been a part of Stanton’s game, but it reached unprecedented levels in 2014. Of course, some of that is inflated by the intentional walk. Stanton had 24 of them last year — second-most in the MLB — and you might argue that the intentional walks were largely a result of his lack of protection in the lineup. To that, I’d point you towards the throngs of folks who believe lineup protection is a myth, and the compelling arguments they have to back it up. Regardless of how you feel, the intentional walk, more often than not, has value of its own, so it can’t be dismissed. And even with intentional walks excluded, Stanton’s 49 forced 3-0 counts ranked third to Granderson and Werth. It goes without saying that 3-0 counts are good for hitters. The league’s slash line, through 3-0 counts, is .283/.735/.475, for an OPS of 1.210. Stanton’s OPS, through 3-0 counts last year, was 1.534, with similar numbers over his career. Let’s work backwards with this. You can’t get to a 3-0 count without first being in a 2-0 count, and it made me wonder how Stanton might be pitched differently than the league in those situations. For instance, hitters saw fastballs in 2-0 counts, on average, 74% of the time last year. For Stanton, it was just 55% fastballs. Less fastballs means more breaking and offspeed pitches, and that means less pitches thrown for strikes. The league average percentage of pitches thrown in the strike zone on 2-0 is 48%. Stanton’s is just 40%. When Stanton is looking to damage with his bat, pitchers are going to do anything they can to avoid it, even if it means falling behind 3-0. At that point, you might as well concede the walk rather than give Stanton a pitch to hit in a hitter’s count. And that leads us to the important trend in the bigger picture. That’s how this year’s version of Giancarlo Stanton — the best version yet — was able to post on-base percentage pushing .400, despite striking out in more than a quarter of his plate appearances. The Giancarlo Stanton of years past didn’t have that. There’s a couple of ways to post an elite walk rate. One is by being ultra-selective and having a great eye at the plate. That’s how someone like Matt Carpenter does it. The other way is be so good at destroying all of the pitches that nobody throws you strikes anymore, and that’s the way Giancarlo Stanton does it. The pitchers have made their adjustment. Stanton now finds himself in 1-0 counts more than anybody. He finds himself in 2-0 counts more than anybody. He finds himself in 3-0 counts more than anybody. He’s walking more than just about anybody, and of course he’s still got arguably the game’s best power. Of course, you still have to credit Stanton for his keen pitch recognition and discipline, but the adjustment has been made by the pitchers on account of Stanton’s reputation. On one hand, all of this means the pitchers are doing their job in trying not to give Stanton good pitches to hit. On the other hand, there’s the inverse effect of Stanton now being in hitters counts more often than any other player in baseball, giving pitchers even less room for error. As long as Giancarlo Stanton keeps crushing baseballs, he’ll continue to be pitched the way he’s been the last two years. Who knows, perhaps it gets even more extreme. But if there’s one thing we can bet on Giancarlo Stanton to keep doing, it’s crushing baseballs. He’s the most feared hitter in the league for a reason, after all. We hoped you liked reading Giancarlo Stanton and the Value of Intimidation by August Fagerstrom! The evidence doesn’t say that lineup protection has no effect. It says that having lineup protection lowers BB% and increases ISO, and that they offset each other. The entire point of the lineup protection studies is that the extra walks gained by not having protection completely offset the extra power gained by getting pitches to hit, not that there’s no difference in process. That’s not the conclusion that the article to which I linked draws, but I’d be interested in seeing more protection articles because I’ve always kind of felt in the middle on the subject. Ah, I now see in the comments that someone linked Jeff to an excerpt from The Book that explains exactly what you’re talking about. Interesting. Either way, I don’t think that changes much, with regards to this piece. It was more of an aside than anything. Stanton’s never really had protection in Miami, so it’s tough to attribute lack of protection to any of the overall changes Stanton’s seen in the way he’s been pitched. Just out of curiosity, what do the rates look like for just 2011-2013? Stanton’s lead isn’t nearly as large 2011-Present as it is last season alone, so that at least suggests that he may have been a lot further down in the pack before his standout 2014. Not taking anything away from the piece, just a thought. He definitely seems to have turned a corner last season anyhow, and I would imagine that had an impact on how he was pitched in addition to a lack of protection. Jeff (in the linked article) says a couple times that he doesn’t notice an effect, and if there is one, it’s negligible. He goes on to say “I think pitchers generally pitch to one guy without thinking about pitching to the next guy.” I’m not dismissing the idea, I’m just kind of interested to hear the other side. Jeff’s study was not exhaustive. The study in The Book is much more rigorous. Yeah that’s how I look at it. During one of Bautista’s monster HR seasons he had a BB% around 16% with nobody on/low leverage, and close to if not double that with RISP/high leverage situations. Lind was the primary clean up hitter, and he had a poor season, so Bautista walked a ton because pitchers knew they could get Lind out. Things have changed a bit with EE behind him, and the BB rate has dropped accordingly. I think the whole idea of lineup protection started when Barry Bonds was breaking records – of all kinds!- and pitchers kept allowing him to. First, with home runs, he kept getting pitched to (thanks to Kent), or so the theory goes, and in 2004,when Bonds was lower in the lineup and had an aging center fielder as his protection, he set the single-season walks record. Of course, this is just how the theory goes.